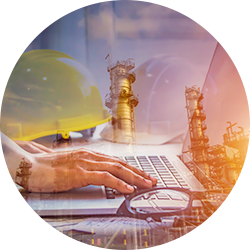 As an established environmental consulting and engineering firm, WCM Group provides professional consulting services in all areas of the ever-changing regulatory climate. Our skilled environmental professionals help businesses address the varied issues they face daily to interpret and comply with rules and regulations. The key to environmental permitting is to understand true end goals. 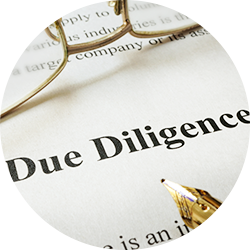 We work with businesses to understand what they’re looking to achieve and then obtain permitting that will facilitate those operational goals. The environmental compliance landscape is complex. Our experts help you comply with local, state, and federal rules and regulations. 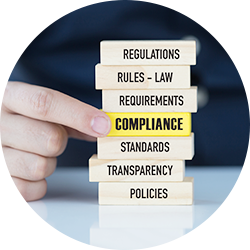 Our compliance services include on-site support, training and development, reporting, and much more. Looking to acquire a property or invest in a new development? Our team helps identify potential issues, secure permitting if needed, evaluate operational readiness, and identify compliance needs to help minimize risk. Did you experience a site accident, or are you investigating a site? 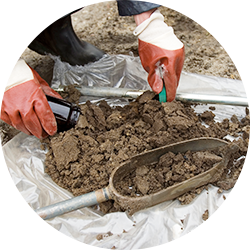 Our team can help from start to finish, pulling samples for contamination, developing remediation strategies, and interfacing with agencies and contractors.